It isn't easy being the rather overlooked and unhappy youngest sibling to sisters named for the other six days of the week. Sunday's only comfort is writing stories, although what she writes has a terrible tendency to come true. When Sunday meets an enchanted frog who asks about her stories, the two become friends. Soon that friendship deepens into something magical. One night Sunday kisses her frog goodbye and leaves, not realizing that her love has transformed him back into Rumbold, the crown prince of Arilland - and a man Sunday's family despises. I am the seventh daughter of Jack and Seven Woodcutter, Jack a seventh son and Seven a seventh daughter herself. Papa's dream was to give birth to the charmed, all- powerful Seventh Son of a Seventh Son. Mama told him seven girls or seven boys, whichever came first. Jack Junior was first. Papa was elated. His dream died the morning I popped out, blithe and bonny and good and gay, seven daughters later. Alethea Kontis's novel simultaneously offers readers the joy of recognizing old favorites in new clothing and the pleasure of discovering something entirely original and new. If Sunday is doomed to a happy life, her readers are blessed with an equally happy romp through a fairy tale landscape both familiar and unexpected. (Reviewed by Norah Piehl). Starred Review. A fabulous fairy-tale mashup that deserves hordes of avid readers. Absolutely delectable. 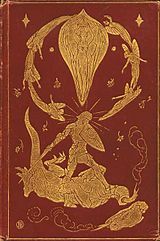 Fantasy readers will undoubtedly enjoy the... mash-up of these famous stories, spiced with comedy, romance and magical powers. Kontis is a born spell-caster and her work is spellbinding. In the style of great fairy tales, Kontis has created a delightful, heartfelt new classic that can charm the sun out from behind the clouds. A charming tumble of fairy tales, spiced with humor and sprinkled with true love. If Neil Gaiman and the Brothers Grimm had a child who grew up to weave fairy tales, she would be Alethea Kontis. Read this book - it's an absolute winner. As mischievous a garden full of fairies and twice as clever, Enchanted proves there's more than life left in the oldest genre in the world - there's a lot of heart, too. Alethea Kontis's debut is full of inventive whimsy. Take your favorite fairytale and spin it to the side, throw in a half-dozen other tales all dancing, and you get this Enchanted ball. As readers enjoy Enchanted, they're exposed to dozens of fairy tale-inspired plot points, some of which are instantly recognizable while others are less familiar. 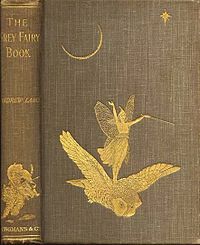 For readers who are inspired to go back to the source of these stories, there are few better resources for fairy tales of all sorts than Andrew Lang's famous Fairy Books.